Kano State Government and Dangote Group have donated N500 million each as assistance to victims of the fire outbreak that occurred early this year in five major markets in Kano. The chairman of Dangote Group, Aliko Dangote, announced the donation on Saturday in Kano. 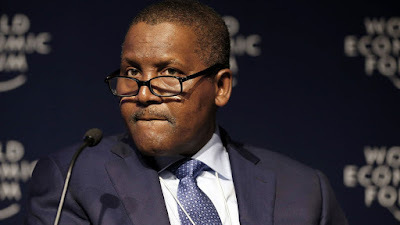 Mr. Dangote, who headed the appeal fund committee for the victims, said the gesture was to ameliorate the suffering of those affected by the disaster. “Times are hard and if not for the recession which we are also affected I would have donated more than this amount,” he said. ‎Earlier, the Gov. Abdullahi Ganduje said the state government had also donated N500 million to the victims.